Extensive police searches continued in Birsay, Orkney yesterday to trace missing pensioner James Mainland. 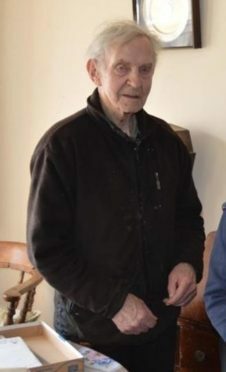 The 88-year-old is understood to have left his home at around 6.30am on Saturday and was subsequently reported missing to police after he failed to return. Following inquiries there was a potential sighting at around 5.30pm on Saturday in the Midhouse area near to the Barony hotel, on the north shore of the Boardhouse Loch. This was an unconfirmed report from a member of the public who had spoken to an angler who had been fishing there. Police are urging the angler to get in touch as soon as possible so that they can speak to this person. Chief Inspector Matthew Webb, who is leading the search, said: “We are currently trying to establish if this was indeed Mr Mainland and would encourage anyone else with other potential sightings over the last 24 hours to please get in touch as a matter of urgency. “A search team dedicated to finding him will be focusing their efforts in and around the loch, with support from Police Scotland’s dog unit, specialist police search advisors and the coastguard, which is also dedicating valuable resources. “This encompasses some challenging terrain which requires specialist knowledge and skills. “We know that the local community will want Mr Mainland to be found as soon as possible and I would like to thank all those who have shared our appeal for information so far. “The public can help us by checking and rechecking any outbuildings, garages or sheds you have incase he has taken shelter overnight. “I would also ask the same of any docked boats around the loch. You may have checked these spots already however there is every possibility Mr Mainland is still on the move in the area. Please also ensure any boats you do have are still there. The pensioner has dementia and is said to be unsteady on his feet. He is around 5ft 8in in height and of slim build with blue eyes, short white hair and a short white beard. At the time he left home he was wearing a blue body warmer, purple top, black trousers and brown slippers.